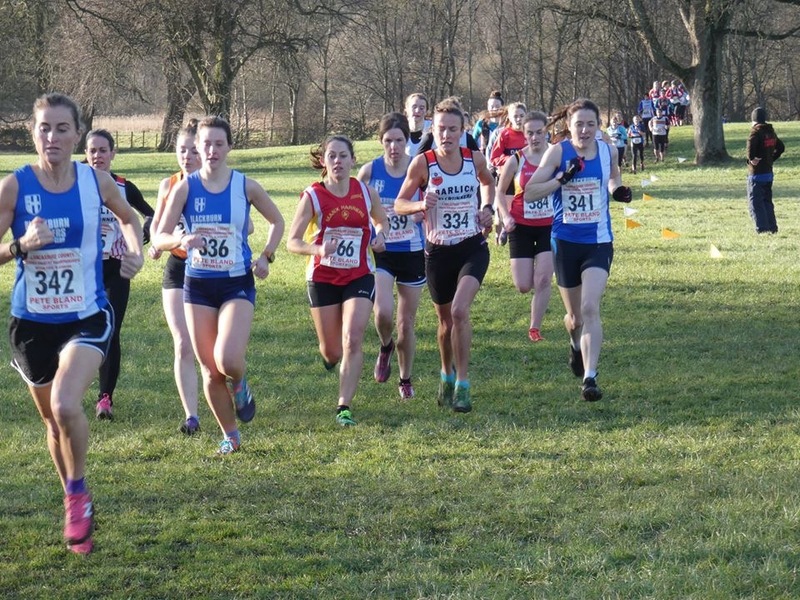 A cold but sunny day greeted the athletes for this years County Championships run in surprisingly better conditions that might have been thought given all the rain of late. 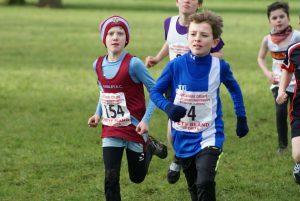 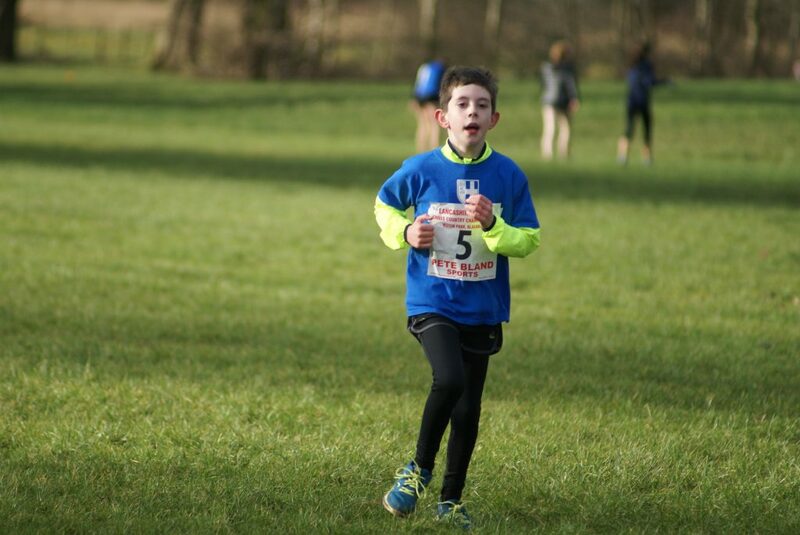 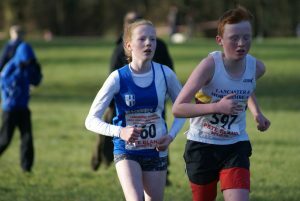 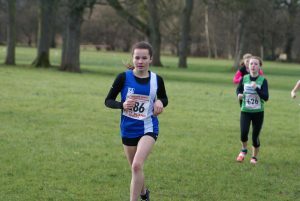 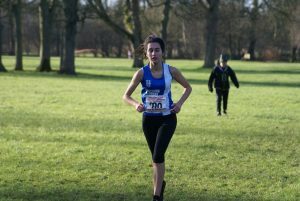 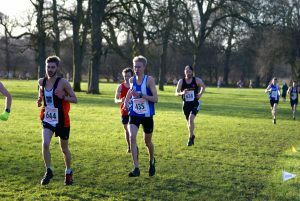 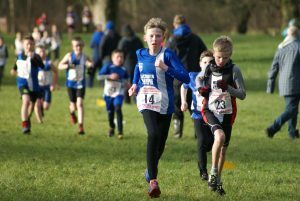 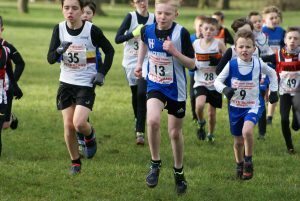 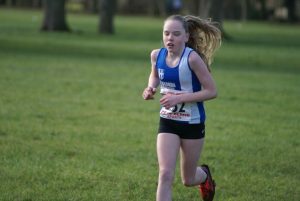 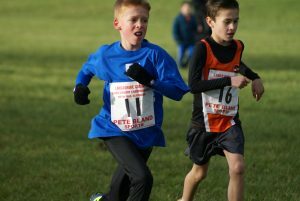 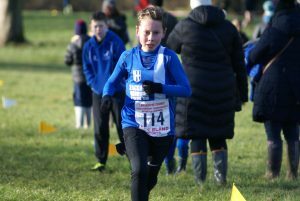 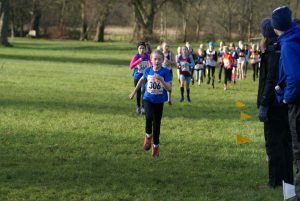 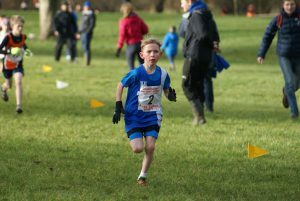 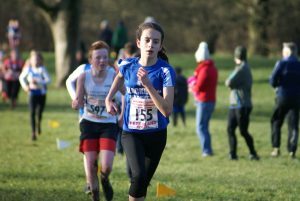 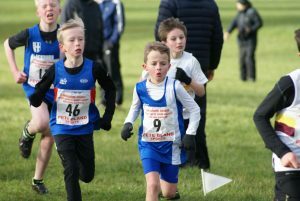 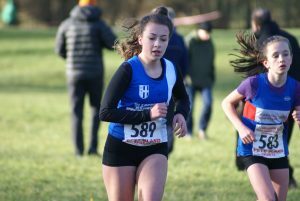 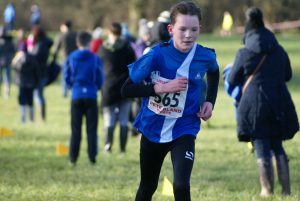 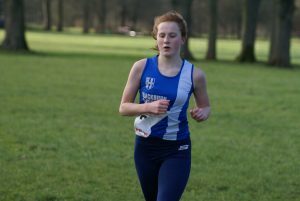 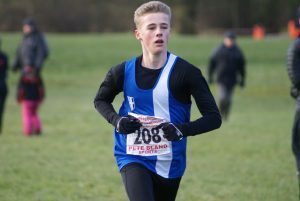 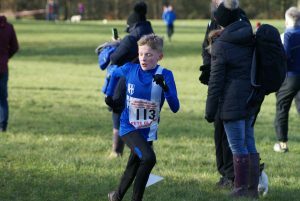 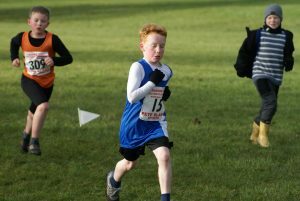 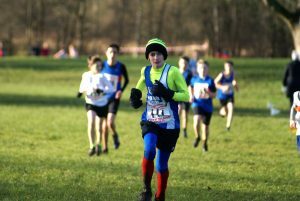 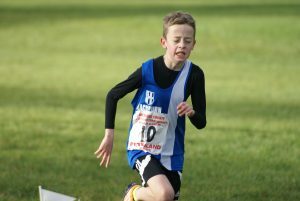 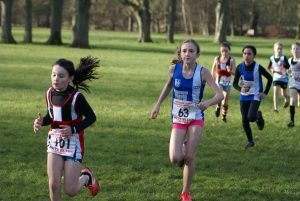 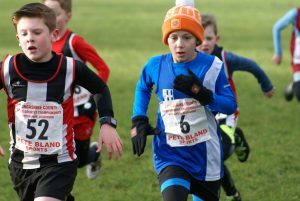 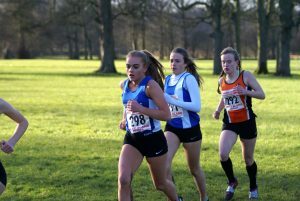 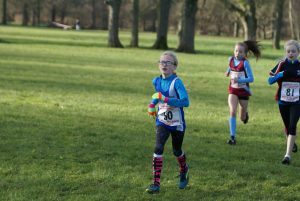 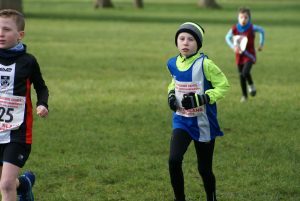 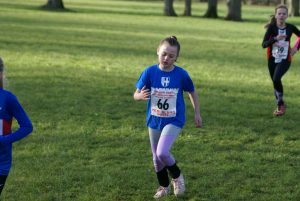 A record number of entries for the county championships helped to set the scene for the day, providing some great running and competition. 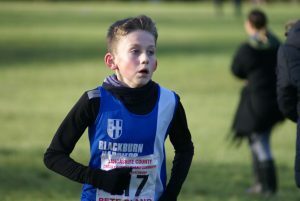 Blackburn Harriers had seventy seven runners contesting the Championships which yielded twenty Medals overall – three Team Golds in the U13 Boys, U15 Boys and Women’s Vets – three Team Silver Medals for the U13 Girls, Senior Men and Men’s Vets and nine Individual Medals included Bronze Medals won by the U11 Boys, U11 Girls and U15 Girls with Individual Bronze in the U11 Girls, Silver in U13 Boys, Silver and Bronze in U15 Boys, Silver in U17 Women and Silver in the Senior Men. 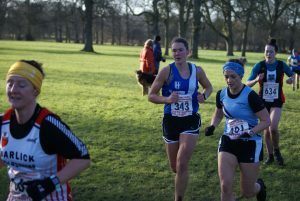 In the Veteran categories the Harriers won five Medals including Silver in the Women’s V35, Silver in the Women’s V40, Gold in the Women’s V45 whilst in the Men’s there was Silver and Bronze in the V45’s. 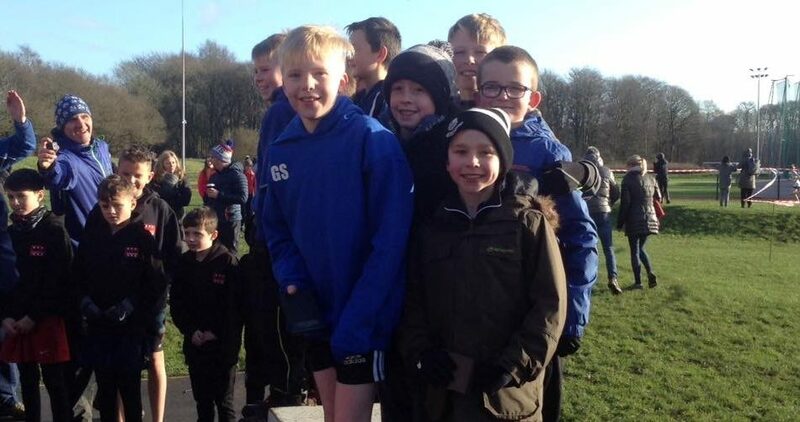 The day kicked off with the U11 Boys winning a Team Bronze Medal and featuring fourteen Blackburn Harriers led home by ‘pocket rocket’ Sam Aspey with a cracking run in 4th place (6.33). 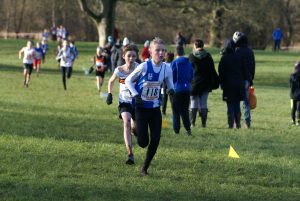 Daniel Smith was next home in 11th (6.50), followed by Oliver Gill in 14th (6.57), Harry Sambrook in 18th spot in a time of 7.03, Matthew Smith (24th) clocking 7.14, Charlie Haworth (26th) running 7.20, William Dudgeon in a time of 7.52 (41st), Harry Russel (7.53) in 43rd place, Findlay Carroll with a time of 7.55 (46th), George Ramsden in 8.00 dead (52nd), Alexander Brien (8.32) in 62nd position, Harrison Waite (66th) in 8.49, Sam Craven 69th running a time of 10.12 and Kaiden Fielding (11.41) in 70th. 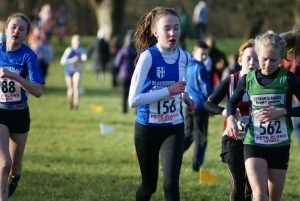 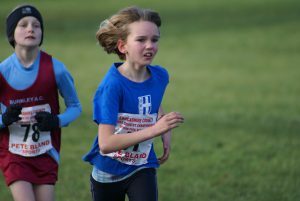 The U11 Girls emulated the boys by also winning the Team Bronze medal – Hannah Davies and Imogen Robinson led the charge in the U11 Girls featuring fifty one young runners and kept that up until the end with Imogen finishing in Bronze Medal position with a time of 7.32 and Hannah coming home 5th (7.40). 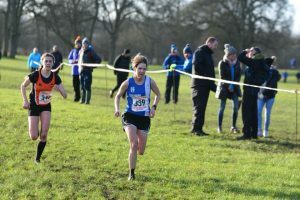 They were backed up by Isabelle Hartley in 19th (7.57), Ayesha Vose (34th) in 8.36, Tippi Francis just one place further back in 35th in a time of 8.44 and Maisie Taylor in 43rd (9.32). 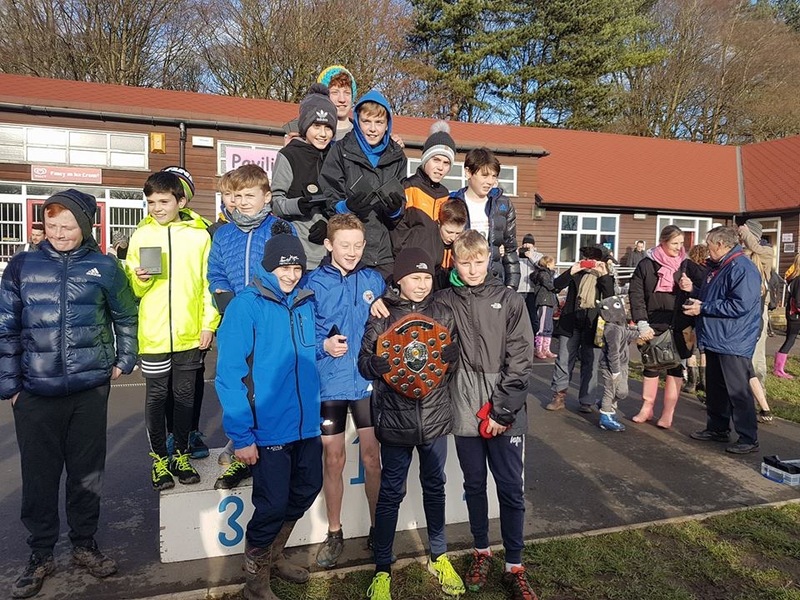 First Team Gold of the day went to the U13 Boys which saw ten Harriers competing in the forty five strong field and taking eight places in the top 20. 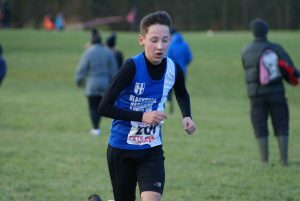 Isaac Butler continued with his great form winning an Individual Silver Medal for his 2nd placed run of 11.35 and that after losing 50 metres by going the wrong way. 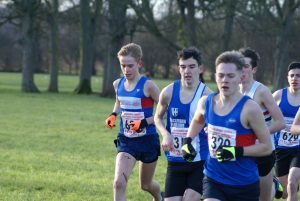 Great support in 6th and 7th place came from David Holman (11.54), Kyle Taylor-Pomfret (12.00) and Zach Walmsley in 8th (12.09). 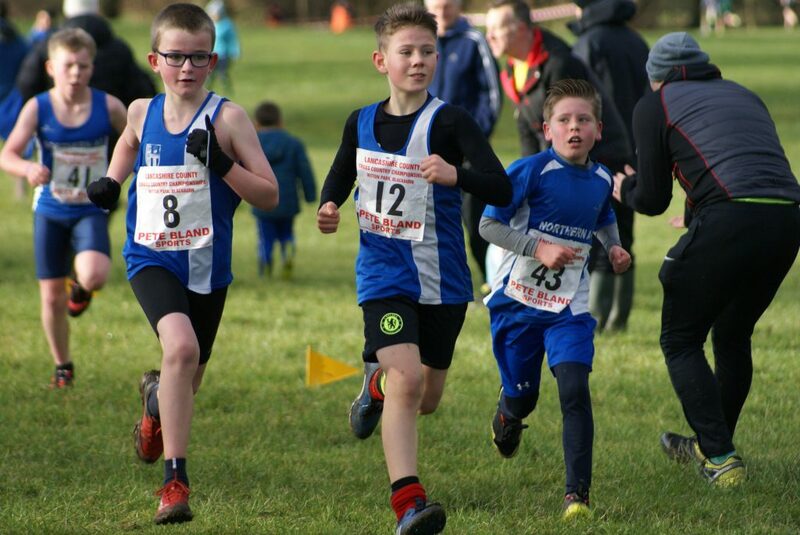 Tremendous grouping from the lads was evident with the next two Harriers home – Joseph Joyce in 10th in a time of 12.19, Hayden Mercer 11th (12.25) and Rory Teare 15th (12.40). 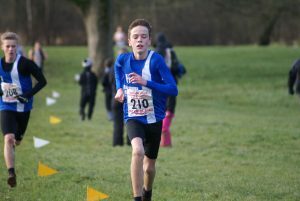 Saul Sharp was next home in 19th spot clocking a time of 12.56 with Codie Dewhurst in 22nd (13.08) and Sebastian Burton (33rd) with a time of 13.52. 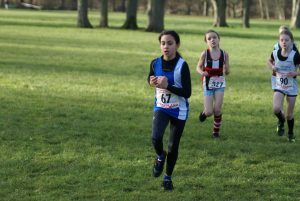 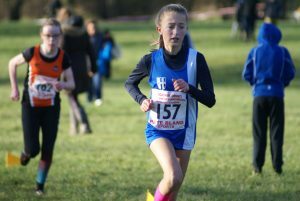 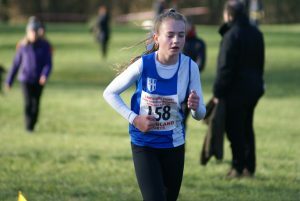 It was a Team Silver Medal for the U13 Girls which saw Hollie Cubbon cross the line as the first Harrier in 12th out of fifty six runners in a time of 13.02. 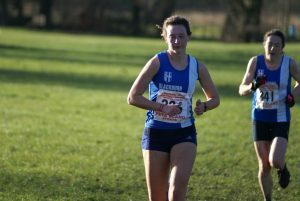 Katie Cookson and Caroline Woodworth pushed one another through the Race with Katie coming home in a time of 13.17 (16th) and Caroline just one place back in 17th posting her time of 13.21. 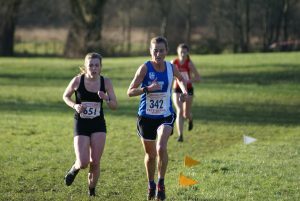 Leah Hoole was next home for the Club in 19th spot (13.33) followed by Keira Haxton in 30th (14.05) and Molly Nicholls in 39th place (14.36). 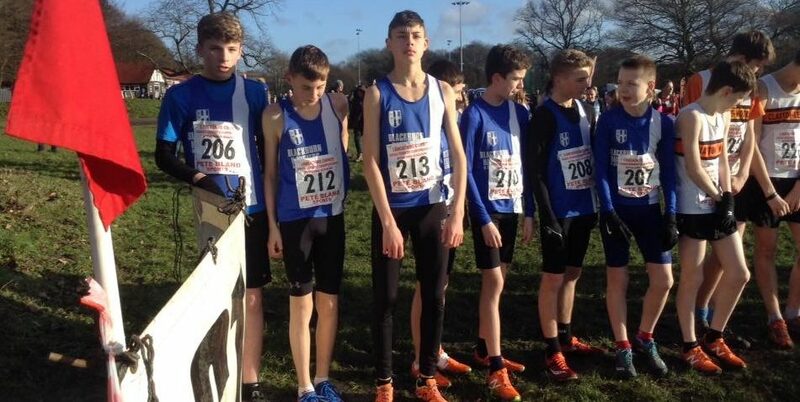 Second Team Gold Medal on the day came from the U15 Boys which also produced Individual Silver and Bronze Medals. 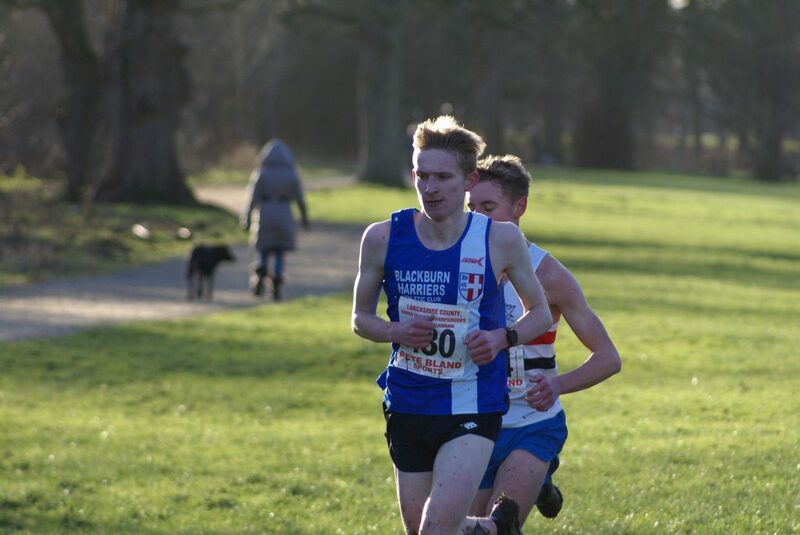 Sam Hodkinson came home 2nd with a characteristic sprint finish in a time of 12.50 to edge Matt Ramsden into 3rd place in the home straight (12.53). 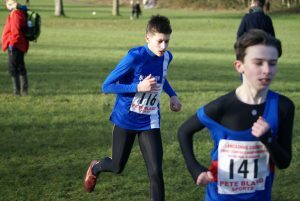 Leon Thomas 11th in 13.41 and Jamie Teare 12th (13.43) ensured the Gold Medal for the Team. 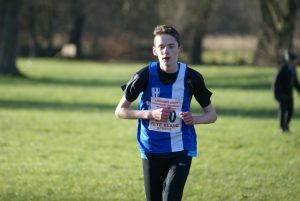 Harvey Ashworth was next across the line in 22nd (14.47) with Luke Ingleson in 33rd (16.18) and Ethan Barbarewicz 34th in 17.40. 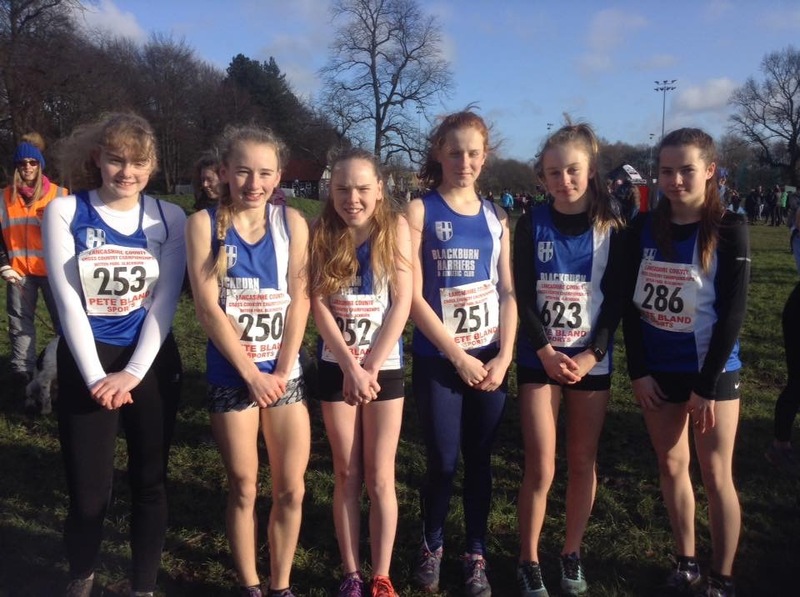 The Harriers U15 Girls kept the Team Medals going with a Bronze in their Race led home by Eleesha Charnley – 9th out of 44 runners in a time of 15.40 and followed home by Amy Davies in 12th (16.00), Hollie Oldham (31st) in a time of 18.01, Rebecca Ramsden in 38th (19.27), Charlotte Collin 43rd (21.26) and Ella Hardman 44th running a time of 24.31. 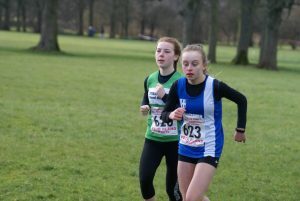 Maddie Elliott had a good run to win Silver Medal in the U17 Women’s Race in a time of 21.29 after a battle with Lorna Speirs from Norther with Hannah Cookson placing 11th in 24.02. 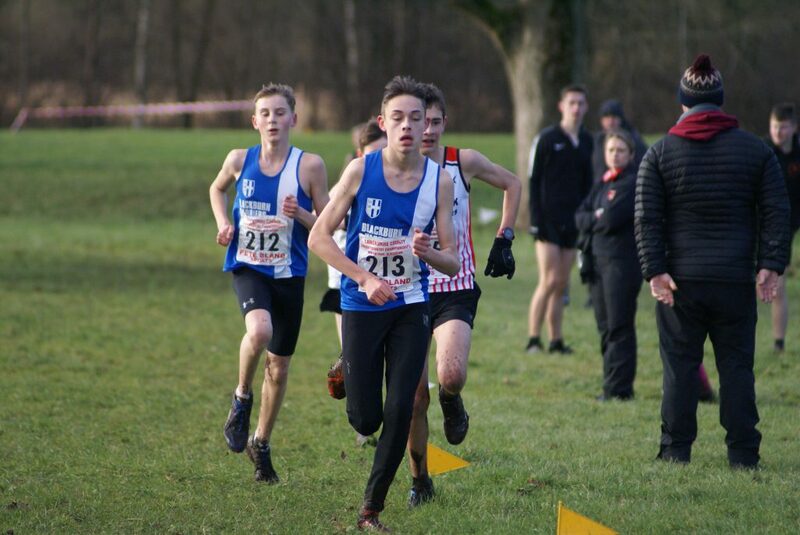 The Harriers U17 Men finished 5th Team with Joe Gebbie finishing 11th in a time of 19.29, Bradley Meikleham (13th) clocking 19.47 and Thomas Betty 19th in a time of 22.49. 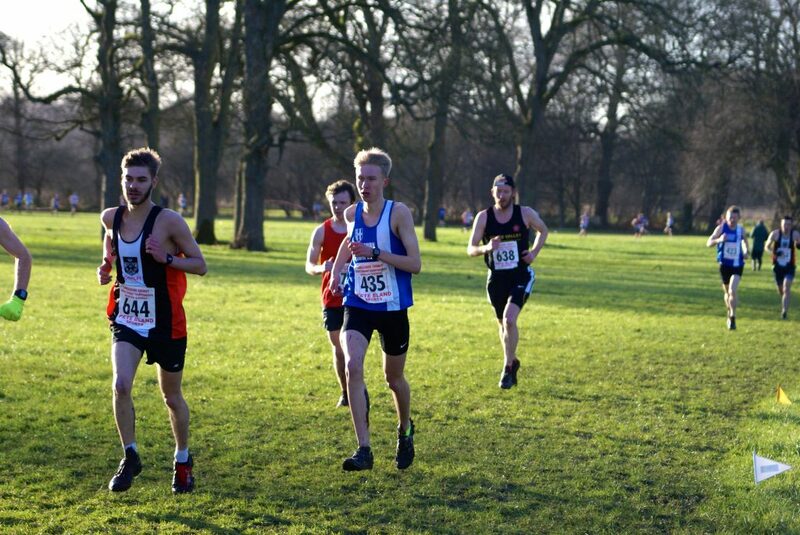 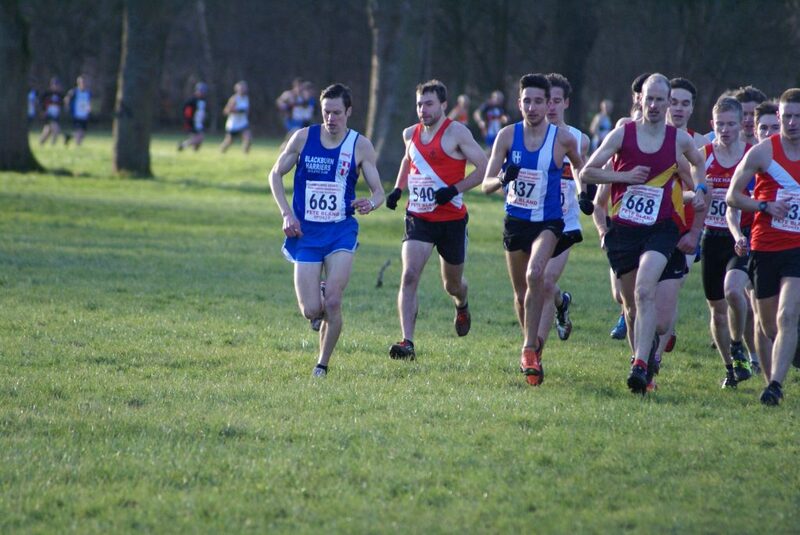 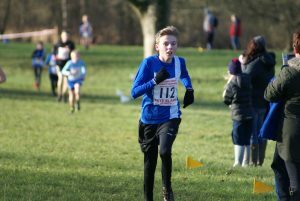 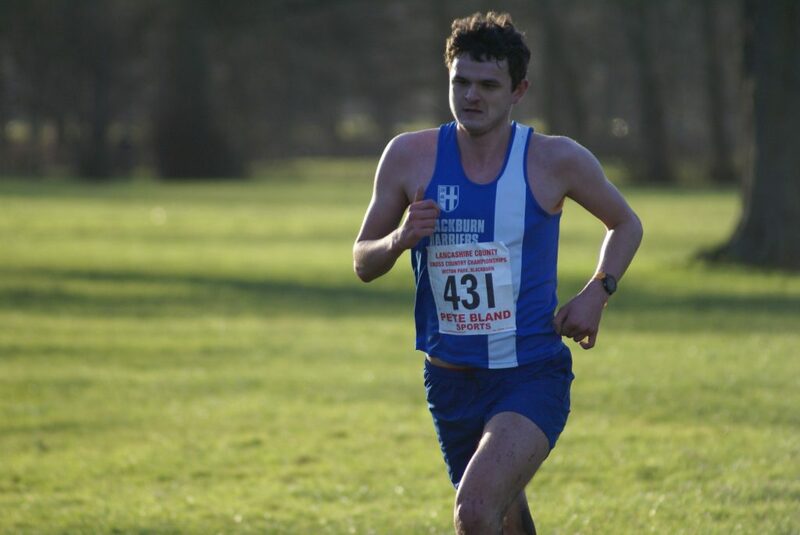 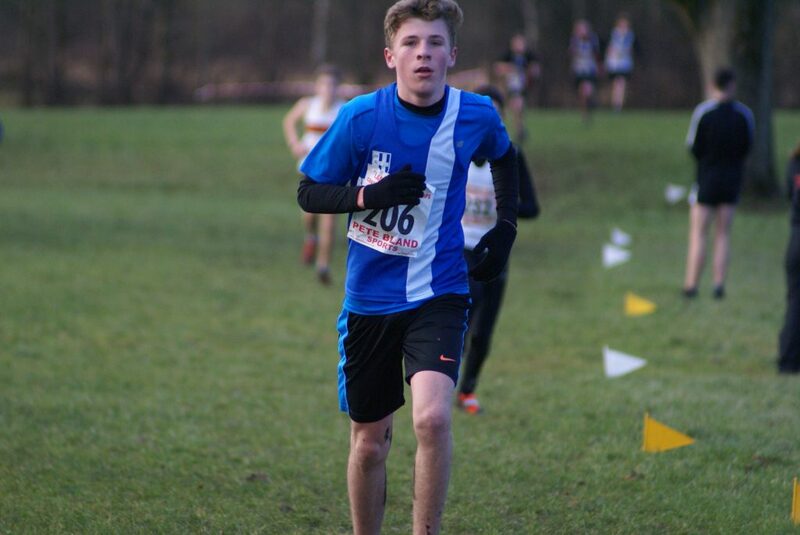 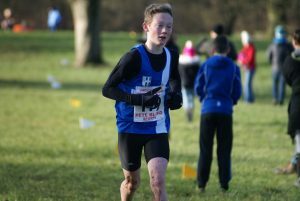 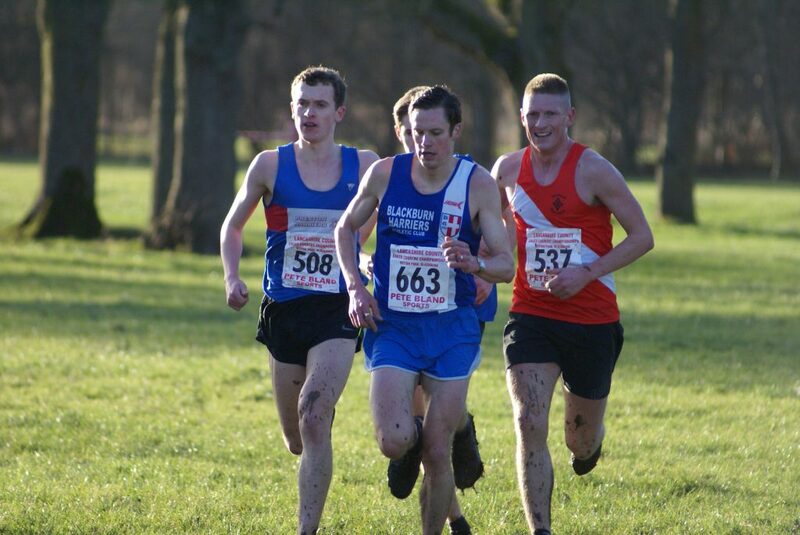 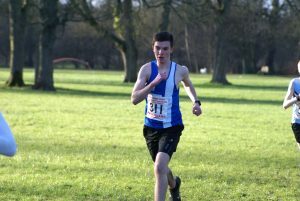 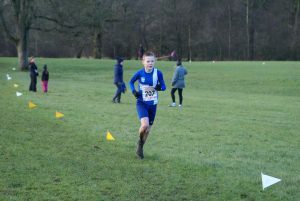 Bottom of age U20 Nicholas Smith who ran his first Lancashire Championships in the Senior Race placed 8th overall in the U20’s with a time of 37.23 and 51st overall in the Senior Race. 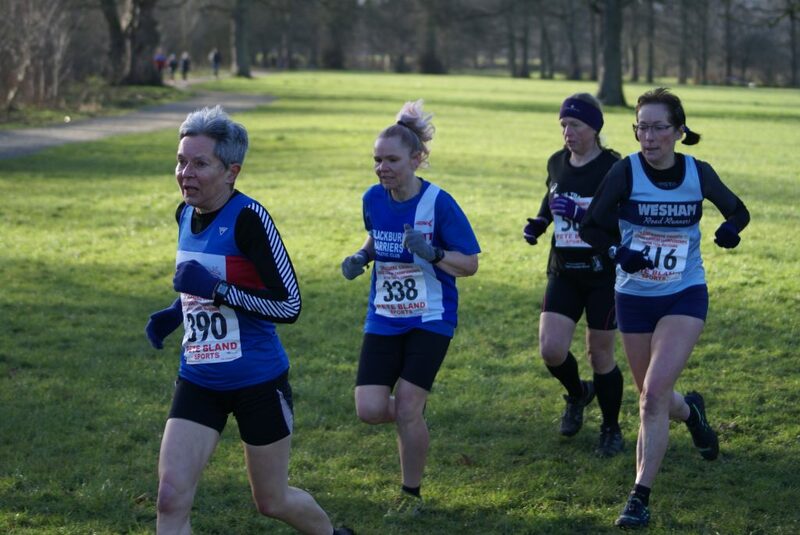 The Club’s Senior Women had a pretty good day winning the Vets Team Gold Medal and just missing out on the Bronze Medal in the Open Race by two points to place 4th overall. 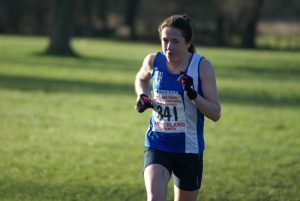 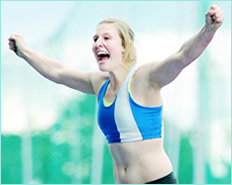 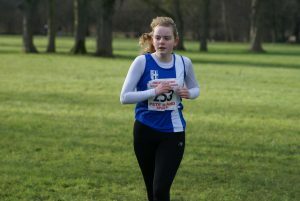 Joanne Nelson finished 9th overall in 26.43 and won the Gold Medal for the V45’s too. 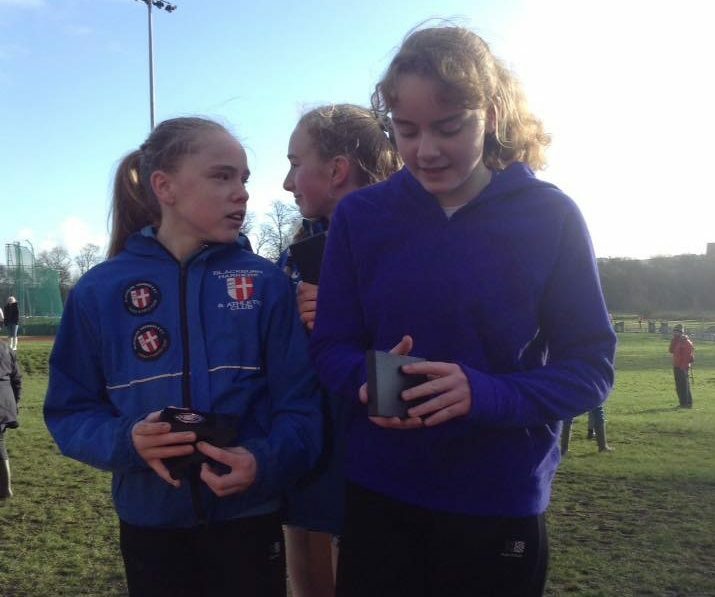 Next over the Finish Line for the Harriers came Victoria Mousley in 27.42 which earned her a Silver Medal in the V35 category, followed by Katie Buckingham who is going very well in 15th spot (27.55), Carmen Byrne in 18th (28.38) which earned her a Silver Medal in the V40’s, and just two places further back – Carly Edwards in 21st with a time of 28.53. 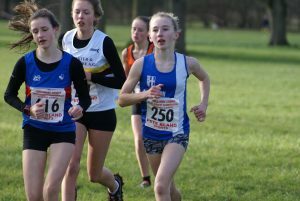 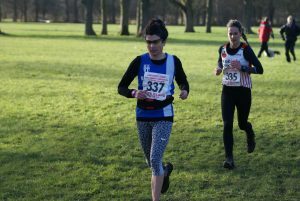 Sarah Toms was next in (28th) clocking a time of 30.52 and Lindsay Davies 39th with a time of 32.46. 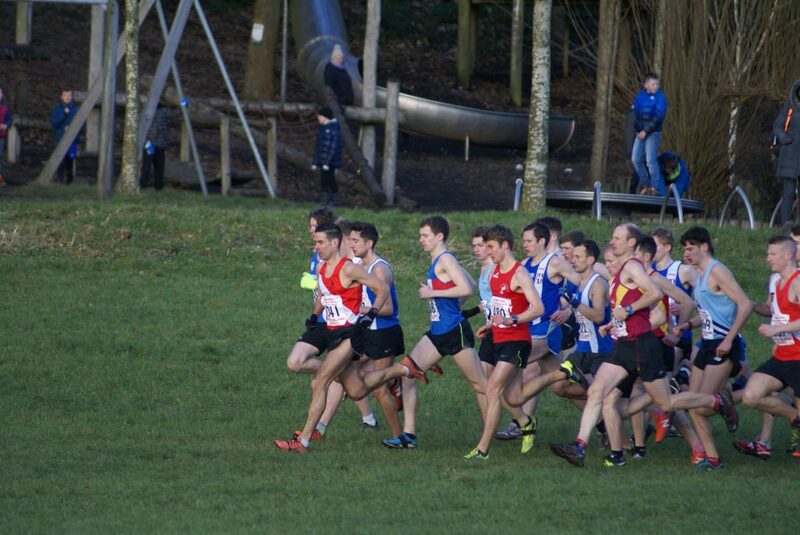 Our Senior Men had seventeen runners out and were hopeful of contesting the Team and Individual Gold Medals. 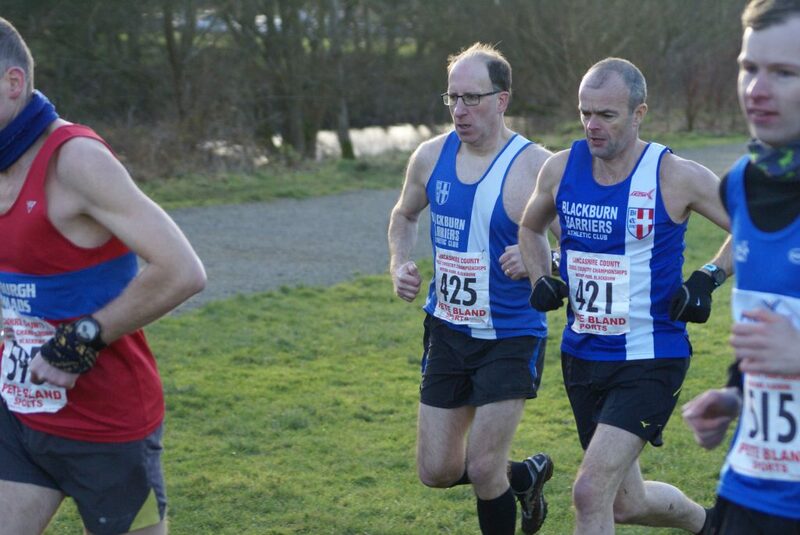 Unfortunately we lost two athletes on the first lap through injury which put a dent into our ambitions finishing up with the Silver Team Medal and Silver Individual Medal and Silver Vets Team Medal. 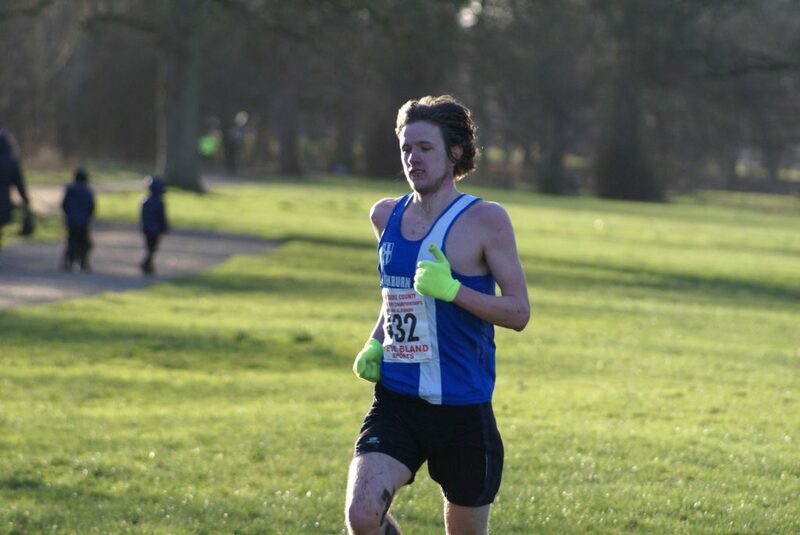 Really good running from everyone which saw the Harriers take two of the first five places with Ben Fish in 2nd beaten in a sprint finish in the home straight by Daniel Bebbington and Rob Warner in 4th place 31.22. 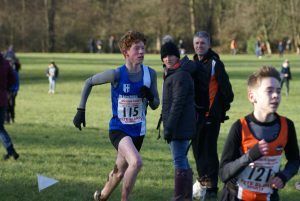 Jack Hindle had a good run to finish 16th in 33.22 and great to see Zach Howe in 25th place (34.21) after a pretty horrific 2017 dominated by injury. 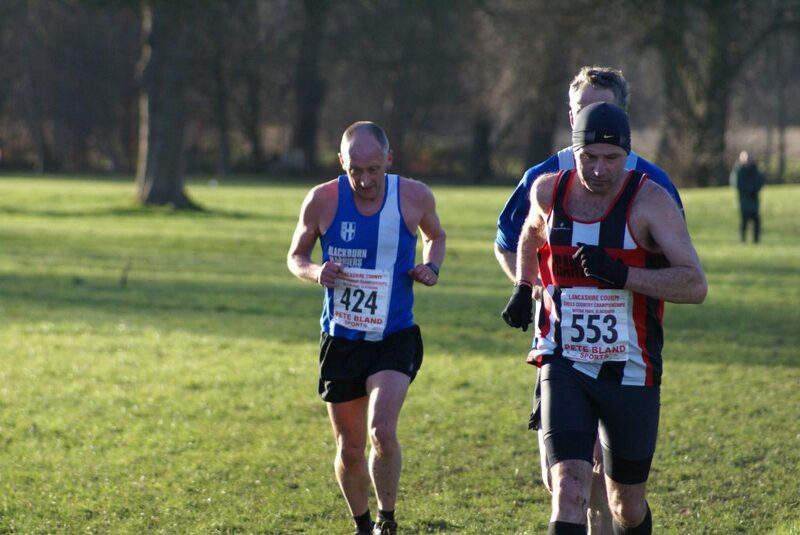 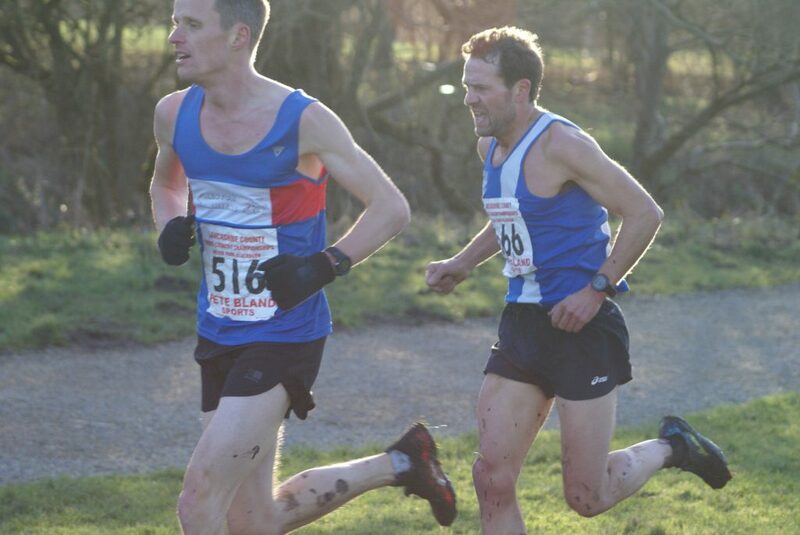 Next in came Matt Nuttall in 31st (34.46) and Silver Medalist in the V45’s followed by Chris Davies in 32nd (35.02). 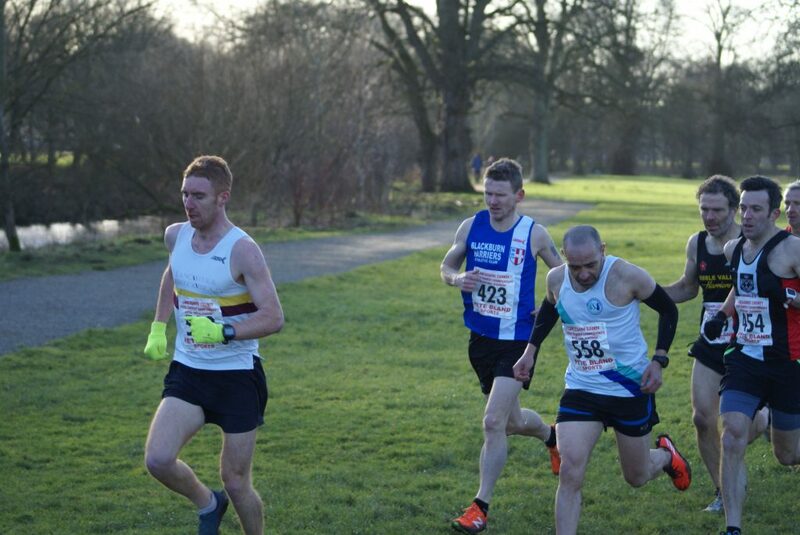 Just a couple of places further back came Mark Chippendale in 35th (35.48) and V55 Bronze Medalist, Joseph Howe (37th) clocking 36.10 and Ian Dixon (40th) with a time of 36.22. 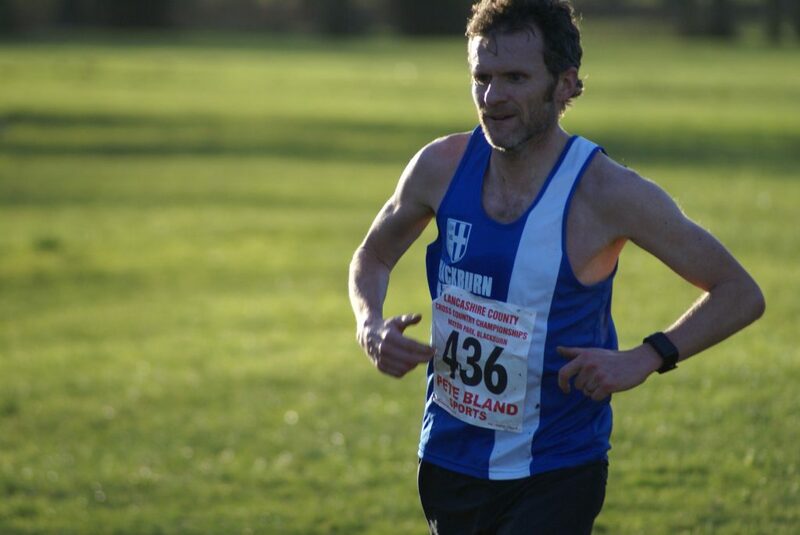 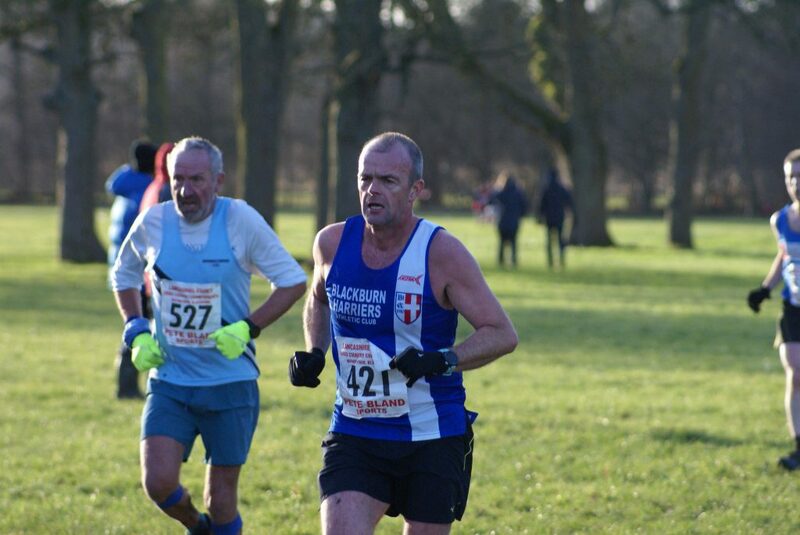 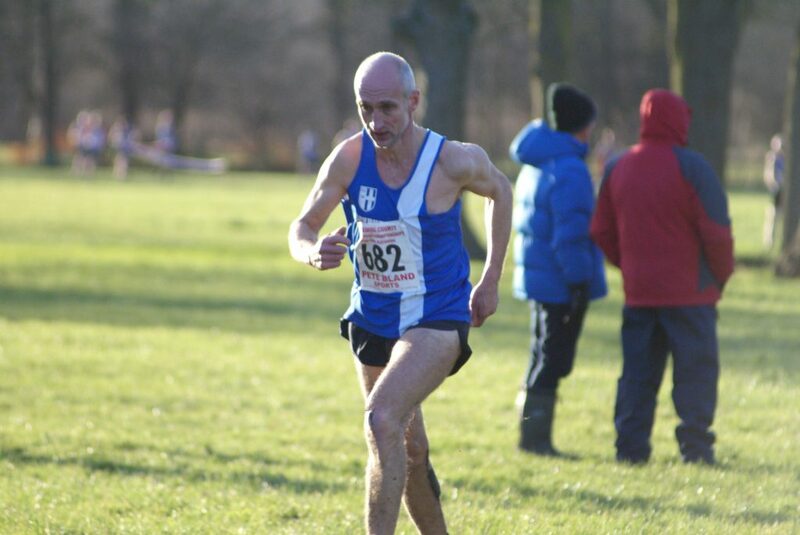 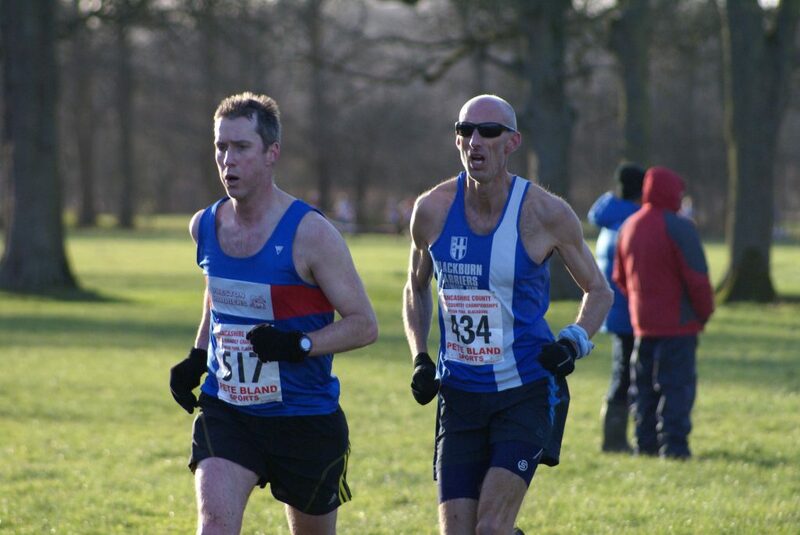 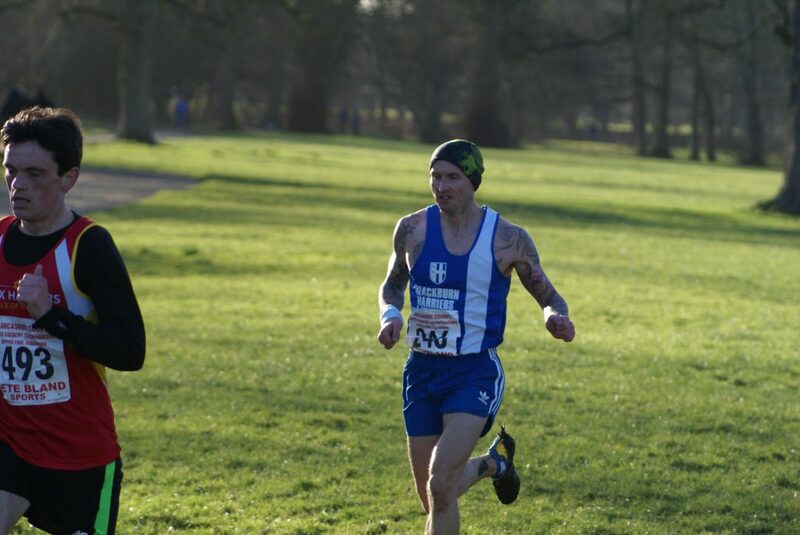 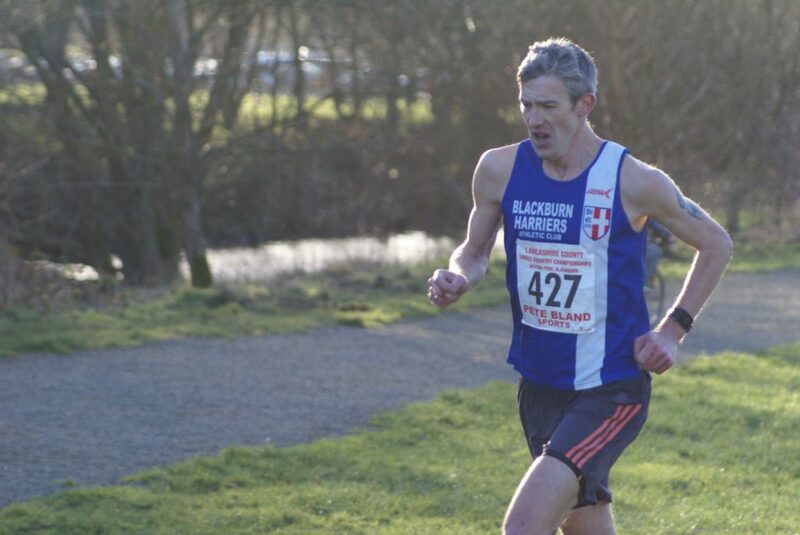 Nicholas Smith also had a good solid run in 51st (37.23) followed home by Paul Brindle with a time of 37.43 in 56th, Martin Haworth (60th) in 38.01, Gary Vose (63rd) in 38.05, Gary Pearse 90th (40.49), Mark Almond 101st in a time of 41.37, John Cookson (114th) posting a time of 42.57 and Ian Clarkson in 143rd spot (47.45).